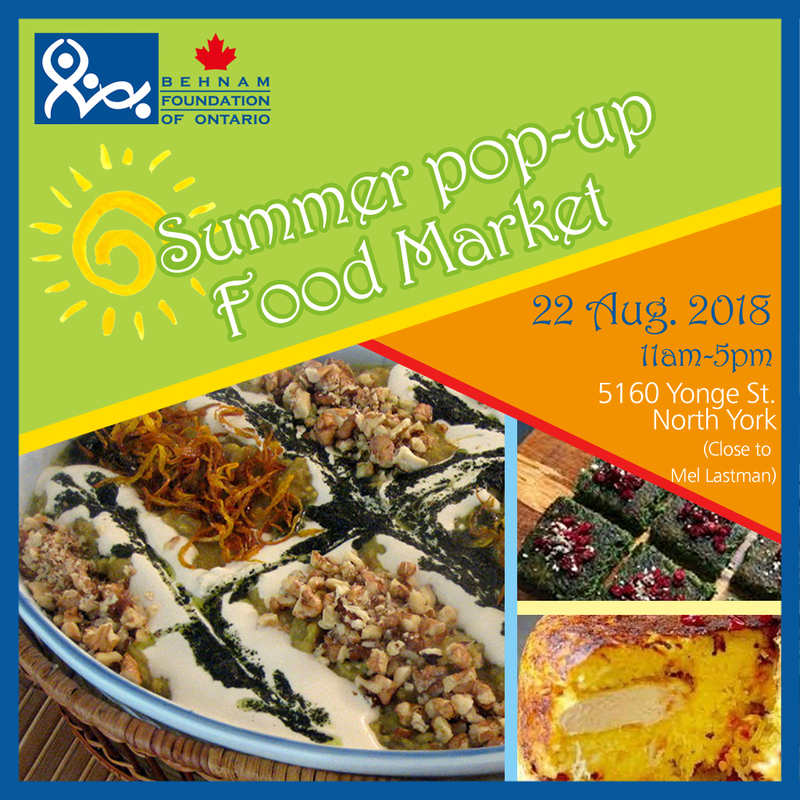 As we wrap up summer of 2018, BFO is excited to host its first pop-up event and we invite you to join in the experience. You will have the opportunity to find out more about our non-profit organization, meet our dedicated members and volunteers, and donate to our cause by purchasing delicious Persian foods such as Tahcheen, Kookoo, Kashk-o-bademjan, zereshk and homemade jams. As always, 100% of the proceeds will be used for the treatment of patients with cancer and rare diseases. What better way to welcome Fall?